FIA is a nationwide timber and forest resource inventory that has been ongoing for over 70 years in Alabama. A wide variety of timber and other forest resource data is collected from FIA survey plots. There are 5,572 survey plots distributed throughout the state; for the most part, at an approximate 3 X 3 mile spacing. The majority of the plots were established in the 1930’s by the U. S. Forest Service (USFS); however, for various reasons a few new plots are established each year. The plots exist on all types of ownership (private, industry, and public). Prior to 1997 the USFS conducted a periodic survey approximately every 10 years. However, the Forest Service and the States agreed that a 10 year interval between surveys was too long due to increases in demand for forest products and associated forest data. Ten years was also judged to be too long an interval to effectively keep up with changes in land uses, such as forestland being converted to suburban development, or agricultural land being converted back into forest. In 1997 the USFS and Alabama Forestry Commission (AFC) agreed to let the AFC take over the data collection aspect of the survey. Initially, the AFC had 10 crews with assigned work zones. 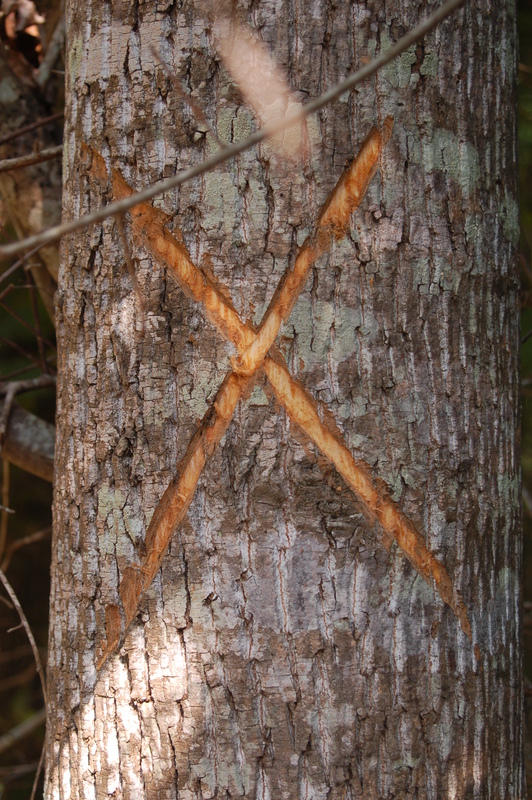 With the help of USFS crews in 2000, the periodic survey for the state was completed in January of 2001. Beginning in 2001 a continuous annual survey was implemented in which 20% of the total number of FIA plots were surveyed each year so after 5 years a full FIA cycle would be completed. Due to constraints of budget, Alabama currently maintains a 7-year cycle length. (NOTE: A cycle consists of all FIA plots distributed throughout the state. The yearly allocation of plots to be surveyed is referred to as a panel). In late 2005 the last panel of plots was completed for the cycle that began in 2001. FIA statistical information for Alabama (and other states) can be accessed from the USFS’s FIA National Program – Data and Tools Website . With the advent of the annual survey, each year the data from the most current panel that has been analyzed is added to a rolling average that takes account of all 5,500+ plots in the survey. Historical data is available online as well, allowing users to view Alabama survey results from 1972, 1982, 1990 and 2000, as well as annual results from 2001 up to the present. Currently, there are 7 full-time AFC employees assigned to FIA – 6 crew leaders and the FIA Coordinator. In 2019 the FIA crew will complete the 10th full survey of the state and will then begin the 11th survey. In 2017 and 2018, Alabama was the first state in the nation to deliver a completed survey to the Forest Service, and the first to have its data available to the public, with full year QA/QC scores of greater than 96% accuracy. How is the FIA information used? Existing business and industry managers are increasingly in need of information regarding the timber resource in order to make product and investment decision. 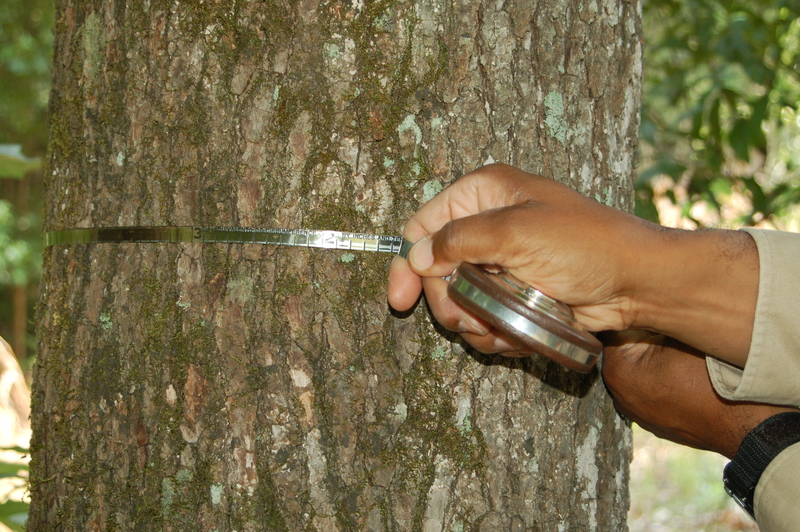 Potential investors use the information to make analyses and provide reports indicating desirable or undesirable locations for new or expanding forest products operations. Economic developers actively recruit forest industry and utilize the FIA information to plan for future industrial development in their respective communities in order to expand the economy and increase employment opportunities for citizens in their communities. Environmental policy makers and regulators are using the FIA information as the basis upon which public environmental policy on forest use is developed and results monitored over time. It is clear that forest management in the future will be increasingly complex and demanding. Decisions made by forest managers will be subject to more scrutiny, both by industry and by the general public. Making good balanced decisions regarding our southern forests will be imperative. Good decisions can only be made by competent professionals who are acting with the benefit of good information. Without the benefit of good and timely information about the conditions of our forests, it will not be possible to consistently make good management decisions about our most important resource.